...there was this little girl. She has always looked forward to the Christmas season, 'cos that is the time when she could feel the festive mood in the air. And she loves it. She loves the music of Christmas carols whenever she steps into a shopping centre. 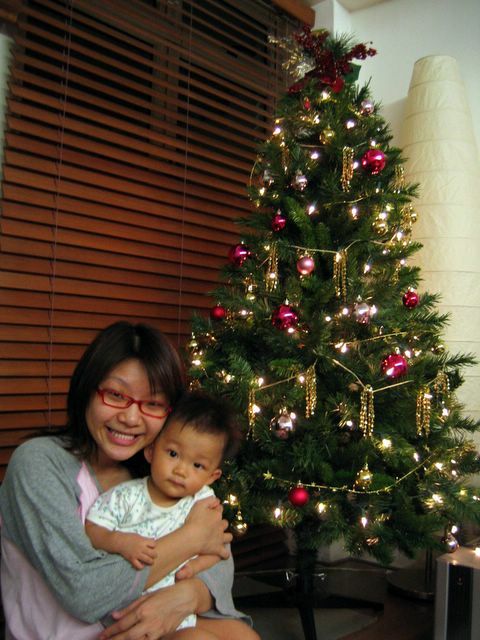 She loves the lightings along Orchard Road and the decorations on the shopping malls. She loves the sights of Santa figurines and all things 'Christmas-sy' everywhere. She loves opening christmas presents. But most of all, she loves having a Christmas tree in her home, so that she can wake up on Christmas morning to find all her presents under the tree. Every year, she will go down to the city area just to soak in the Christmas atmosphere. And every year, Christmas came and went. And still, this little girl still hopes for her very own Christmas tree. The little girl has grown up now. And she has got her wish.